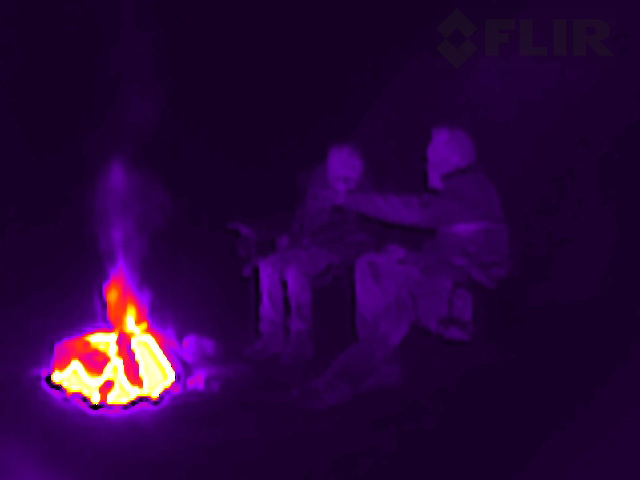 FLIR Systems, Inc. introduced their latest handheld thermal imaging monocular at this month’s Consumer Electronics Show 2016. The FLIR Scout TK entry-level device is the company’s smallest and least expensive model yet. At an MSRP of $599.00, the Scout TK is more than a thousand bucks less than their Scout II model, which sells at about $1,900. The new Scout TK measures just 4″ x 1.5″ x 1.5″ and weighs only 6 ounces, so it really is pocket-sized. I got to play with their older PS24 monocular back in 2012 at SHOT. It was like a handful of science fiction! Even in the lit show area, looking at the heat signatures coming off people was faaaascinating. FLIR states the Scout TK can detect a man-sized target at 100 yards. This would, of course, be in optimal conditions. From using a FLIR in our sheriff’s office helicopter, I can tell you that painting humans becomes difficult with vegetation, structures, and vehicles in the way. Four buttons ride atop the Scout TK. One each for power, color, brightness, and image capture. Although FLIR has not yet announced storage capacity, Scout TK will have video and still photo capabilities. 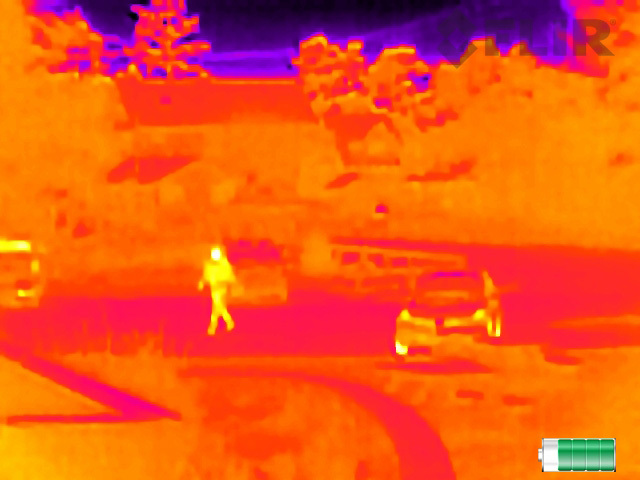 FLIR devices can be toggled to show the user different color palettes for maximum contrast. The results can be striking. 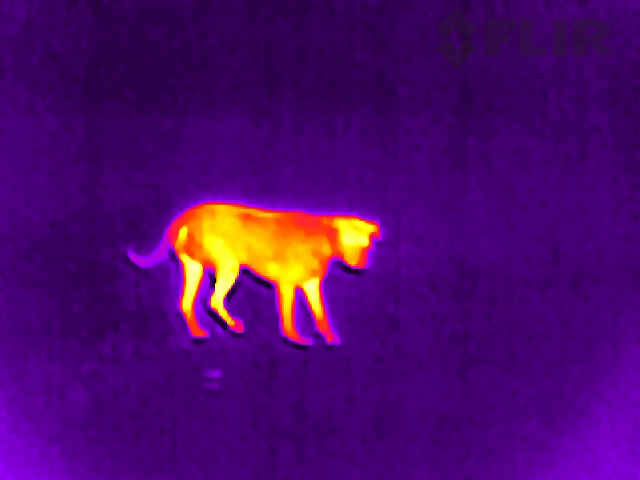 FLIR’s photos below illustrate what I am talking about. The new Scout TK will have a 5 hour battery life from its rechargeable lithium-ion cell. It rates an IP67 certification which will make the unit completely dust-proof and survivable when submerged in 1 meter of water for up to 30 minutes. 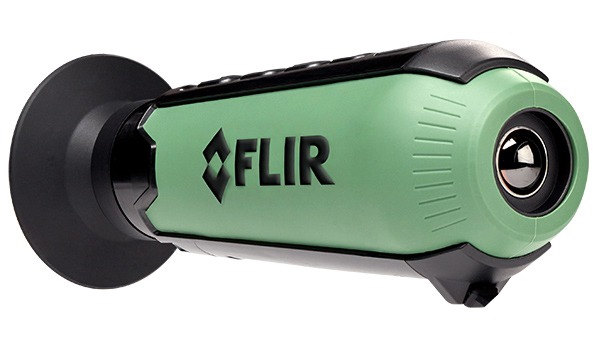 Last year, FLIR introduced the FLIR One, which snapped on to the back of an iPhone. The new Scout TK monocular definitely has a better potential for use in law enforcement, but at a much scaled-back price from FLIR’s larger monocular heat-seekers. This technology is getting into the range where I am tempted to make a personal purchase, just because they are so freakin’ cool. Photos and video: FLIR Systems, Inc. This entry was posted in Street, SWAT, Tactics, Technology and tagged FLIR, FLIR Police, police night vision, Thermal Image Searching, Thermal Imagers for Law Enforcement. Bookmark the permalink.